Cazier Ancestral Family Organization Dedicated to the descendants of William Cazier & Pleasant Drake for the preservation of family history and genealogical research. 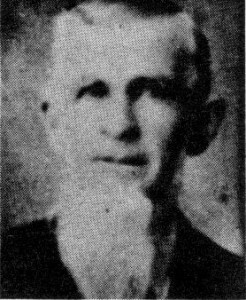 When the descendants of William and Pleasant Drake Cazier first began meeting at Cazier Reunions in June, 1949, not much was known about the life of the eldest son, James, beyond the point where the Cazier family joined the Latter-day Saint Church, and he came West with the Mormon Battalion. Fortunately, the pieces of the puzzle of what became of him in his later years have bit by bit accumulated until there is now a clearer picture. An important part of any person’s history is an account of the best knowledge available of his ancestry. Three generations of the ancestors of James, were located in Prince William County, Virginia………namely, his father, William; his grandfather, James, and his great grandfather, James. When William was about 4 years old, his father died. His mother, Elizabeth (Betsy) Cahoe Cazier, then married John Dye. At about age 12, William moved with his mother and stepfather and family to Elizabethtown, Wood County, Virginia, which area later became a part of West Virginia. The records show that William Cazier and Pleasant Drake were married on December 3, 1815, in Wood County. In 1817, they bought 40 acres of land on the Kenawha River from Archibald Melrose. The map shows Elizabethtown to be not far southeast of the larger city of Parkersburg, located near the Ohio River. William was a cooper and a farmer. Their first child, James, was born on Feb 18, 1817. A baby girl, Maranda, arrived on Christmas Day in 1818. Another son, John, was born to them on March 14, 1821. William’s mother,Betsy Cahoe Cazier Dye, passed away there in 1820. Later in the year 1821, William and Pleasant deeded their 40 acres to Thomas Leichman, and moved on to the vicinity of Louisville, Kentucky, at the Falls of the Ohio. What an exciting adventure it must have been for 4 year old James. A look at the map allows us to say with surety that the little family made the trip by boat down the Ohio River. Settlement of upper Kentucky had received great impetus as early as 1780, when 300 boats came via the Ohio River carrying 3,000 settlers. Many more boatloads followed. Moses Kuykendall had established a fort at Harrod’s Creek northeast of Louisville, for the protection of the early settlers. As fear of Indian raids subsided, a trading center grew up at a point where two roads met. This became the village of Brownsboro, named after John Brown, the Virginia-born statesman and legislator. The leader of the community was a Baptist preacher by the name of William Kellar. This became a great center of Baptist activity. Knowing that the Caziers were members of the Baptist Church at one time, one wonders if this may have influenced their selection of Brownsboro as their new home. Before the Cazier family of five arrived on the scene in 1821, Reverend Kellar had died as the result of having been attacked by a bear. His position had been filled by Benjamin Allan, who had been apprenticed, to Kellar. William and Pleasant rented land from Isaac Smith upon their arrival at Brownsboro. Smith’s home, built in 1809, was still being used as a residence when Don Cazier went over from New York, and took pictures around Brownsboro in the mid-1970’s. In 1976, four or five hundred acres still remained with Isaac Smith’s descendants. Looking at the picture of the beautiful southern home and surroundings, one can imagine the Cazier parents and children being in and around these buildings often. References to this period of their life, as given in David Cazier’s biography used in Mattie Cazier Eagar’s fine book on Cazier history, coincides exactly with a brochure put out by the Oldham County Historical Society in 1962. The brochure gives a sketch of the Harrod’s Creek Baptist Church, which was the church the Caziers attended after their arrival there in 1821. Reverend Benjamin Allan became a follower of Alexander Campbell, and in 1832, he organized the Christian Church, carrying most of his former Baptist congregation of 209 members with him. This explains David’s account of his father getting up in a Campbellite meeting over in Illinois, to tell them of his special, wonderful experience of his conversion to the LDS faith. The book also tells of William contacting his Baptist friends in Virginia and Kentucky when he was on his mission. The remaining Baptists at Brownsboro used their own building on the 1st and 3rd Sundays, and let the Campbellites use it on the 2nd and 4th Sundays, until they could get a building of their own. Can’t you just see James and his family coming and going there? Seven children were born to the family at Brownsboro…..Benjamin on January 4, 1824, William on April 29, 1826 and died September 30, 1835, Elizabeth on February 1, 1829, Samuel on August 14, 1831, David on May 1, 1834, Charles Drake on Jan 21, 1837, and Rosannah on August 25, 1840. It is evident that the older children were adequately schooled there at Brownsboro as evidenced by their legible handwriting. The marriage of James and Juliett Catherine Hudson took place at the nearby town of LaGrange, Oldham County, Kentucky on May 29, 1839. Their marriage license states that they, having proven they were over 21 years of age, and James, having entered into bond and security in the office of said county according to law, their marriage license was issued 2 days previously by Samuel Helms. Their eldest child, Pleasant Elizabeth (Patsy), was born at LaGrange on April 7, 1840. Along about that time, the Caziers came to the conclusion they would never be able to afford to buy the expensive land there in Kentucky, so they decided to move to Illinois where land was plentiful and cheaper. We assume that James and Juliett made their move to Illinois when his family did, from the fact that the second child, William Jefferson, was born at Sullivan, Illinois on November 12, 1841, as were the other two, Ellen Jane on July 17, 1844, and Jeremiah on April 17, 1846. That is close to Lovington where William and Pleasant ran the Black Horse Inn for John Kellar. One wonders if this Kellar has any connection with the Kellars back in Brownsboro. Latter-day Saint missionaries came through their area along about 1844. In fact, James is listed as having been baptized in 1844. His married sister, Maranda Cazier Bryan, and his brother, David, were the only ones of the family who delayed their baptism until later. In his enthusiasm over the new knowledge, William got up in a Campbellite meeting, and told them of his spiritual experience related to the truthfulness of the LDS religion. Instantly, all their wonderful Campbellite friends turned into fierce, bitter enemies. They brought about legal proceedings against William, and sold his property for almost nothing, and threatened him seriously with jail. For his protection, his son, John, who was an expert marksman, went with him to LaHarpe (about 19 miles East of Nauvoo), then returned to Lovington to help the rest of the family prepare to join him. Through the mediation of the brother-in-law, Charles Hinkle Bryan, the unreasonable Souther family, and the Campbellite mob, gave James, John, Benjamin, their sister Elizabeth’s future husband, James Otis Bigelow, and a dear friend, Andrew Love, 60 days to renounce the LDS religion, or leave Lovington forever. James’s wife, Juliett, was influenced by her brothers (who were bitter against the Mormons), and she refused to go with her husband. Accordingly, the mob prepared tar and feathers, then gave James his choice of receiving the new coat, or taking his team and wagon and moving on out. With his wife standing by, and making no protest whatsoever at their treatment of him, his choice was clear, so he went. Their sister, Maranda, and her husband were under no pressure from the mob, but, seeing how violent and unreasonable these former friends were capable of being to her loved ones, the Bryans could not bear to live among them any longer. They caught up with their refugee family at Council Bluffs, Iowa, in July of 1846. They found that James and John had signed up as privates in Company A of the Mormon Battalion, when the US government had gone to the Mormon refugee camps on the prairie to call for 500 able bodied men to serve in the war with Mexico. Their mother, Pleasant, died in November of malnutrition and the severe cold suffered from their very inadequate housing. James and John were at Sutter’s Fort when gold was discovered in California. After his release from the service, James hurried to Utah hoping with all his heart that Juliett had reconsidered, and come west with his father’s family. She had not. The Caziers at Nephi have told that he immediately headed east to see his family, swimming the Mississippi River by holding onto his horse’s tail. His brother Benjamin’s son, Joseph, said that he remembered his Uncle James visiting them at North Ogden several times. Once when he came through, he brought them a can of blackberries from California. They used the can as a button box for years. He had dyed his hair and beard black, and he had a woman and two children with him. In Mattie Eagar’s book, she cites evidence that James served as a scout along the pioneer trail. In one case, a creek for awhile bore the name of Cazier Creek. Along about the time of the first Cazier Reunion in 1949, Helen Cazier Norton located James’s grandson, James Edward Cazier, at Sullivan, Moultrie County, Illinois. She had a letter from him to show at the first reunion at Warm River. He came out to the reunion at Ogden in 1952, and made three more trips here before he became too elderly to travel. After the Ogden reunion, he desired to see his great grandfather’s grave at Nephi. The Nortons took him to Nephi. A few days later, he called Helen to him and handed her a $5 bill saying, Great-grandfather William Cazier’s headstone at the cemetery is getting to be awfully shabby. Here is $5 to start a fund to have a nice, new marker put on his grave. How very precious it is that a member of the branch of the family, cut off from the rest for so many years because of conflict over William’s religion, would be the one who made the first move to honor William with a new marker. Mattie Eagar finally completed the fund, and had the marker installed. It also bears Pleasant Drake Cazier’s name as there is no possibility whatsoever of ever locating her unmarked grave out on the prairie to put a marker on it. The Cazier family organization also paid for two seats in the Pioneer Memorial Theater in Salt Lake City, and had them inscribed with William and Pleasant’s names as a memorial to them. From James Edward, a lot of gaps in James’s history came to light. He said the written history of Moultrie County is bulging with accounts of Mormon Scandals. He said he very often wondered about the renegade branch of the family that went West. On his last trip out, he confided with a grin that he was very surprised and pleased to see the good type of people he found his western relatives to be. He said he fully expected to see a backward, uneducated type of people. In fact, the type of people they naturally would be if the Spirit of the Lord was withdrawn from them, as it would be if they were following a false prophet as so many enemies supposed. He stood at the, This Is The Place monument, and read the scripture from Isaiah, then turned and looked down over the beautiful city below. Tears streamed down his face and he said, The Lord performed some sort of miracle here to transform the barren desert into this beautiful place in that short period of time. The Moultrie County history relates that at one time, James had persuaded Juliett to join him at a place he had in Iowa. They had sold the farm in Illinois. When she arrived in Iowa, she found there was another woman there also. The other woman lived in the house, while Juliett was to live in a shed like home. She made her way back to her people, but James kept in touch with his children throughout the years. The family in Illinois knew that James had died some time prior to 1895, when his son, William Jefferson, went west to see about the estate. It consisted of 160 acres of good farmland between Moscow and Lewiston, Idaho. It was about six miles SE from Kendrick, and 2 miles E of the small store and postoffice at Cameron. This was in Nez Pearce County. James is buried in a small cemetery not far from his farm. His 4 children were his only heirs. Juliett finally received a pension of $8 per month as a result of James having received a pension. William Jefferson’s son, John, spent 7 summers out in the Idaho panhandle to run the farm. James Edward himself spent about 10 months there. Another brother, John, also came out once. James Edward said that, once, William Jefferson came through Ogden by train, and he stopped over to try to find his Cazier relatives. The families finally sold the farm because it was too far from Illinois to be practical for them to keep it up. From affidavits in our possession, we can fill in further details. While living at Cameron, Missouri, on February 27, 1862, James enrolled as a wagoneer in Company A, 6th Regiment of the Missouri Cavalry. He was thrown from a rebellious mule on August 30, 1862, while stationed with the army at Sedalia, Missouri. He landed on his back, and was badly injured. After spending a lot of time in bed, he was finally discharged for disability on January 15, 1863. It appears that he resided at Plattsmouth, Cass County, Nebraska, for some years after his discharge to pursue his disability pension. It took him a long time to prove that his disability was service-connected due to the fact that by the time he applied for a pension, his army superiors were nowhere to be found, and Dr. Deal, who had treated him, had died. One paper says, Soldier first applied for a pension on June 10, 1880. Describing his condition on one application, he wrote, My back gives way, and I have no strength in it, so that I can do no work requiring effort. Stooping over, I get dizzy and fall forward. I have to sit down to keep from falling, and get addled frequently. The doctor’s report on the same paper gave this information: pulse rate 67 per minute, respiration 19, temperature 67, height 5’9 ‘, weight 125, age 68. Tenderness over lumbar and sacral region. There is a bony enlargement of sacrum. Claimant is much emaciated. Skin feels cold and clammy. Countenance is pallid, and shows typical evidence of epilepsy. (Many friends bore witness that they had known him many years, and they swore under oath, that his epilepsy started immediately after the mule threw him, and injured him so badly). Another doctor’s report adds, James Cazier is not addicted to use of alcoholic stimulants of any kind. Finally, his pension certificate came through, dated May 26, 1885. On September 26, 1888, he was given an increase of pension, which brought it up to $24 a month. His death date is well verified as being October 23, 1891. If one could turn back time and have all the facilities necessary to bring into being the desires of our hearts, we would all be there to fold our arms lovingly around him, and do everything within our earthly power to alleviate his heartaches and pain. When we meet him on the other side of the veil, we hope to find that his problems were of earthly duration only.